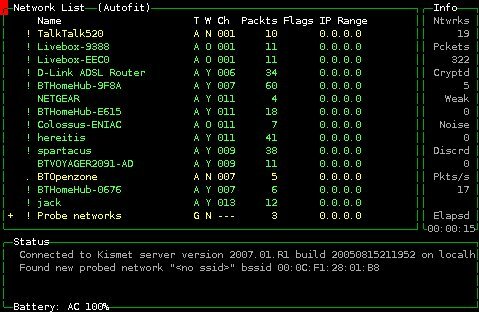 Download Kismet WiFi hacking Software:Kismet is used to hack into wi-fi 802.11 a/b/g/n layer2 networks. It is a network sniffer and captures packets to determine username and passwords. You can get more tutorials on hacking wifi using Kismets from its official site and from the download link below. Kismet is also used to identify hidden networks and sniff into other connected systems.